Little time back I was reading that Firefox will slowdown its new release but it’s not look true because Firefox 9 beta is available to download. Google introduce a new version of Chrome about every month its look Firefox is doing same thing. All the latest release doesn’t have much change in user experience and sometime it is very difficult for common user to figure out changes. Most of the changes are internal improvements, bug fixes and new web standard support. The Firefox 9 beta is available for Windows, Linux and Mac OS. Firefox 9 supports Mac OS X Lion which matches Mac OS Lion application toolbar and icon styles. 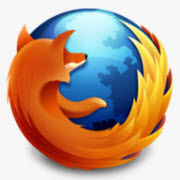 The final release of Firefox 9 is expected on December 20. Meanwhile you can download Firefox 9 beta from direct link below.